The U.S. Coast Guard is considering a migration to the joint electronic health records system of the Defense Department and the Department of Veterans Affairs, Federal News Radio reported Tuesday. 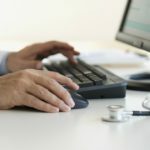 Rear Adm. Michael Haycock, chief acquisition officer at the Coast Guard, told lawmakers at a House subcommittee hearing Tuesday that the MHS Genesis system is one of the service branch’s “preferred alternatives” to replace its current paper-based EHR processes. Haycock added that the Coast Guard will come up with additional details on its EHR replacement effort in February. 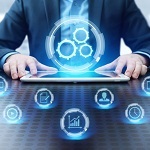 The Coast Guard returned to the use of paper health records after it ended a contract for the delivery of a software-as-a-service EHR platform in October 2015. Schwartz added that the Coast Guard’s future EHR platform should be interoperable with DoD and should support a seamless transition of members to VA.